Santa needs a break after delivering all those toys in one night. It looks like it is medical shiznit. Santa has some problems! Robot Chicken was right! 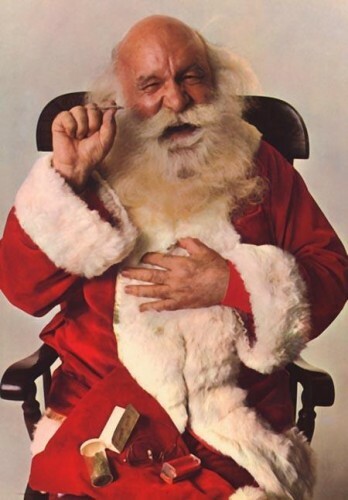 Santa IS running drugs to Cuba! Ok, I see the pot and rolling paper. What are the other items? a rolling device and glasses for his glaucoma. Explains the insatiable cravings for milk and cookies, too. -strange- His sunburnt head makes me think of the wandering bum in my town that looks like santa… i think im gonna ask him for some pot.